The evil that men should turn their brothers into beasts of burden, to be stripped of spirit, and hope, and strength – only because they are of another race, another creed. If there is a god, he did not mean this to be so. 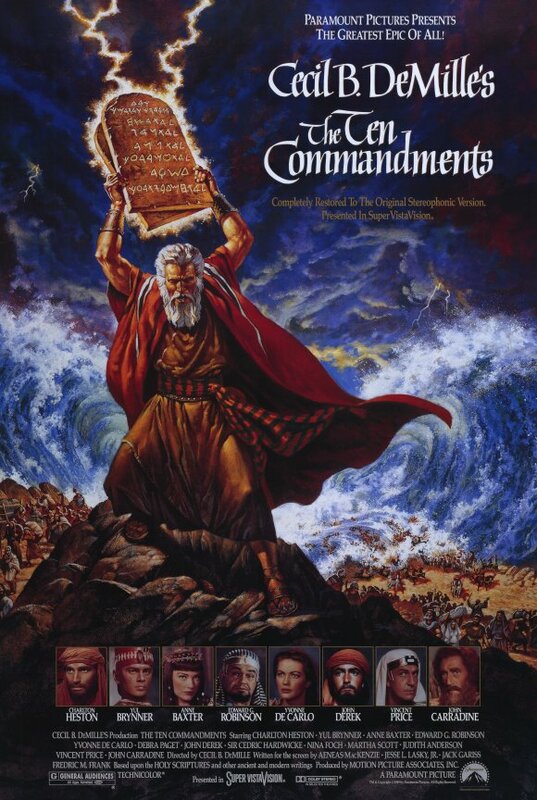 “The Ten Commandments” is so extravagantly fun and entertaining that, I must confess, I never watched it as an ethics film until tonight, as ABC once again broadcast the Biblical epic on an Easter weekend. This quote especially struck me as remarkable for a film made by an infamously rigid conservative, DeMille, in 1956. Ah, come, on, show some compassion! All he did was set a guy on fire for being gay! Anyone can make a mistake! 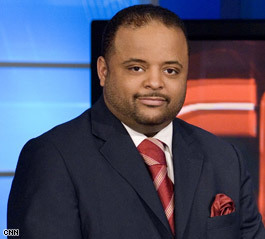 One of these days, when CNN’s designated miracle-worker Piers Morgan (because making Larry King look brilliant is a miracle) is extolling the superiority of the land of his birth over the stupid, violent, individual rights-obsessed U.S., someone should ask him about Jordan Sheard. Sheard, a sadistic 20-year old bully, set his sights on a young gay man, Steven Simpson, whose offenses included, in addition to his sexual orientation, a speech impediment, epilepsy and having Asperger’s Syndrome. Sheard forced Simpson to strip down to his underwear and wrote gay slurs over his body, covered him with tanning oil, and set him on fire. —-President Obama, at a White House event designed to re-energize the push for stricter gun control laws. Right back at you, Mr. President. Shame on the President…for not only making a facile, lowest-common-denominator appeal for gun control regulations, but for implying that policy should be made in the heat of emotional rather than after rational debate and analysis, looking at all sides of an issue, rather than just the most sensational. Shame on the President…for insulting principled opponents of the Democrat’s irresponsible, hysterical and cynical effort to portray the complex issue of fire arms regulation as a matter of “saving the children” by accusing them of forgetting the horrendous massacre of toddlers at Newtown. Amazingly, this is the actual size of Bill Hanstock’s head! The article on SB Nation is called “White people celebrate Heat loss in exceedingly white fashion,” and consists of the writer, a guy named Bill Hanstock, whose article more effectively made me detest an author than any piece I’ve read in a long time, mocking individual spectators at the Chicago Bulls -Miami Heat NBA game (which ended that team’s epic winning streak) based on their faces, their choice of clothes, their beverages, their accessories, their ages, their hair (or lack of it), and most of all, their race. To: FBI, Re: Roswell…If You Can’t Do Better Than This, Please Shut Up. This is exactly the kind of thing that causes the American public to distrust its government, not to mention believing all sorts of bizarre conspiracy theories. Now, whatever this is, an explanation was and is in order. The memo was not made public until 2011, and to say it raises questions is a masterpiece of understatement. If this didn’t happen, why was the memo written? If it did happen, what was the government’s response? If Hottel and Hoover didn’t know whether it was true or not, what did they do about it? If the FBI investigated, what did it find out? “First, the Hottel memo isn’t new. It was first released publicly in the late 1970s and had been posted on the FBI website for several years prior to the launch of the Vault. “Second, the Hottel memo is dated nearly three years after the infamous events in Roswell in July 1947. There is no reason to believe the two are connected. The FBI file on Roswell (another popular page) is posted elsewhere on the Vault. “Third, as noted in an earlier story, the FBI has only occasionally been involved in investigating reports of UFOs and extraterrestrials. 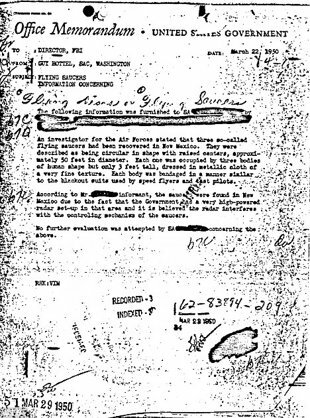 For a few years after the Roswell incident, Director Hoover did order his agents—at the request of the Air Force—to verify any UFO sightings. That practice ended in July 1950, four months after the Hottel memo, suggesting that our Washington Field Office didn’t think enough of that flying saucer story to look into it. “Finally, the Hottel memo does not prove the existence of UFOs; it is simply a second- or third-hand claim that we never investigated. Some people believe the memo repeats a hoax that was circulating at that time, but the Bureau’s files have no information to verify that theory. I am awash in shame. Since early this morning I have been bursting into uncontrollable laughter at another human being’s pain, as he was subjected to an experience of unimaginable existential and surreal horror. 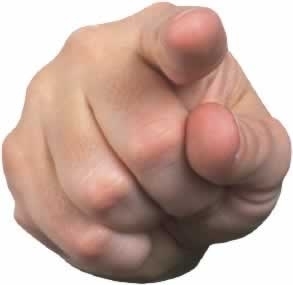 It is schadenfreude beyond question, not unethical in itself—feelings are not unethical—but taking joy in the misfortune of others is not a sound foundation for ethical conduct. 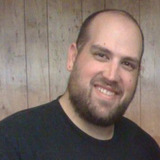 The victim was David Phelps, son of Fred Phelps of Westboro Baptist Church infamy. Suddenly, a 500 pound naked man known as “Billy the Fridge” burst out of a bathroom roaring, “Leviathan! Leviathan!” (see, now I’m laughing again: I’m a horrible person…) and..
An eye-witness later claimed that he saw Phelps being pursued down the street outside the mobile studio by a naked fat man. That last part was the one that got me. There, see, I’m laughing again. We have been puzzling about what to do about the Westboro Baptist Church and its disgusting ritual of shouting anti-gay epithets at the funerals of fallen U.S. soldiers, and I admit that having a 500 pound naked fat man sit on him never occurred to me. I can’t condone it; it is assault and battery, and both a crime and a tort. Nor is it ever ethical, if you are a 500 pound fat man, to chase someone down a street. Indeed, it is arguably not even ethical to be a 500 pound naked fat man, at least in public. It is certainly wrong for any of us to sanction such behavior by cheering it on, or doing anything to encourage other naked obese people to ambush, sit on and pursue members of the Westboro Baptist Church. And now I’m laughing again.